Becky is Professor in Health Systems Innovation at London South Bank University, where she leads the Health Systems Innovation Lab, providing change management support to systems change work; leadership programmes for emerging leaders, network leaders and patient leaders; and catalysing spread through our international network. She has a track record in systems innovation, organisational change and leadership development in the UK and Internationally, and in leading networks across health and social care. Her experience is an unusual combination of leader, manager, researcher, change agent and entrepreneur. She is known to be an energetic and enthusiastic leader of change and a forward thinker. Her book on Networks has just been published. Malby B, Anderson-Wallace M. (2016) Networks in Healthcare. Managing complex relationships. Emerald. 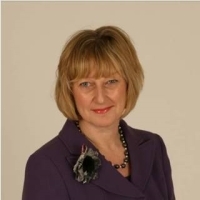 Liz has over 30 years experience in the public and commercial sector, as a senior manager specialising in business management, organisational change, innovation and improvement learning and development. Over the last 23 years, her career in the NHS has focused on leading major organisational change at national, regional and local level, both in provider and commissioning organisations. Working in the Sustainable Improvement Team , NHS England, her current portfolio consists of faculty and network development, accelerated large and small scale event facilitation, OD consulting, capability building design and delivery, leadership and board development, executive coaching and action learning for senior leaders. Liz has a passion for organisational development approaches that support the creation of healthy and high performing organisations. Throughout her career she has been highly concerned with the “people aspects” and cultural elements of organisations, as they impact on the achievement of health and wellbeing and sustainable performance improvement. Liz holds masters in management and organisational learning, a diploma in business management, is qualified as a 360 psychometric practitioner, including the NHS Leadership Framework and holds executive coaching qualifications with the University of Strathclyde and Ashridge Management School. 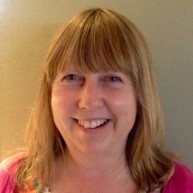 Carol is clinical innovation manager at Salisbury NHS Foundation Trust. She is a mentor on the NHSE Clinical Entrepreneurship programme and was listed as a top fifty healthcare innovator by the HSJ in 2014. Carol is a member of the Scan4Safety team at Salisbury bringing her clinical innovation and quality improvement skillset to the National demonstrator programme. She has over 24 years’ experience in the NHS as a nurse/lecture practitioner, innovator and programme manager. Recently completed a two year NHSE fellowship with the Horizons Team where she was editor of The Edge NHS. Building on this work Carol has developed international crowdsourcing platforms and digital broadcasting for transformational change. Carol has a passion for innovation and connecting through networks. She holds a MSC in Innovation Management and Entrepreneurship, BSC Nursing, diplomas in management/coaching and is a member of the Q community. Rob has experience across the public, private and third sectors as a manager, innovator and leader of change and improvement. Before joining the NHS his range of positions included working with the European Commission and Scottish Office to develop information networks across the rural sector; leading the development of one of the first social enterprises in Scotland and developing a network of training hubs. He also ran his own business providing training and coaching and was an Associate lecturer for the Open University Business School. Joining the NHS in 2008 his first role involved working with senior clinicians and managers while directing the National Communication Skills programme for cancer. This required the development of a network of highly skilled facilitators, delivering training to some 17,000 staff over 5 years. 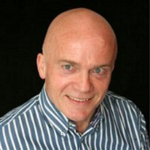 Holding an MBA from Glasgow, he is also an accredited facilitator for the Aston Team Performance Inventory (ATPI), an accredited facilitator for the NHS Leadership 360-degree and one of the lead coaches for London Leadership Academy.